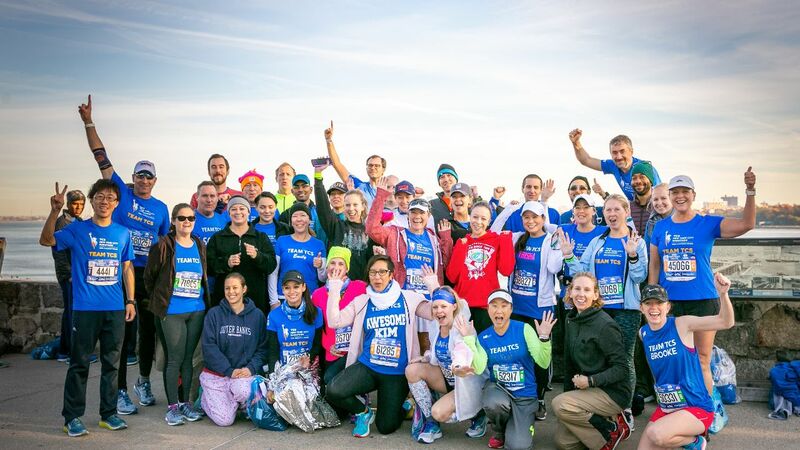 TCS provides 50 teachers in NA STEM resources – and a chance to run the TCS New York City Marathon. As TCS stepped into its fiftieth year of existence in 2018, 50 educators from North America also made a significant personal journey across the five boroughs in New York. As a part of the Team TCS Teachers initiative launched by the company in 2018, these teachers not only won the opportunity to participate in the TCS New York City Marathon, but were also given access to STEM-based educational resources for their classrooms. As part of TCS’ commitment towards STEM education and empowering local communities, the program will back again for the 2019 edition of the TCS New York City Marathon. TCS will once again be championing 50 teachers from across the US and Canada (except Quebec) who have a passion for STEM education – and running! Read more about the initiative here. TCS uses the power of technology as an enabling agent in the communities where we operate. In North America, we are deeply invested in goIT and Ignite My Future in School, our flagship programs that provide teachers with STEM education tools and resources, and help students acquire digital skills. We are equally committed to community health and fitness, which we promote through the TCS New York City Marathon and other races throughout the year, along with the New York Road Runners (NYRR). We believe that teachers serve as inspirational agents of change in the communities where they live and serve. Through marathon, educational tools such as STEM resources, and training support, we help them inspire their students to be healthy and equipped for 21st-century careers. “I teach a math unit on distance and time to showcase real-world examples of how math concepts are present in running,” said Rebecca Franklin, a Team TCS Teacher. “The more students see practical concepts at play in the classroom, the more inspired they are.” With the Team TCS Teachers initiative, we hope to create the next generation of STEM leaders across North America. Watch video.